ACCOUNTING AND ADVISORY SERVICES FOR STARTUPS AND GROWTH COMPANIES. After ten years of supporting PunktBs portfolio companies, this service is now offered to all startups. Supporting a startup and growth company with administrative services is so much more than just managing the books. 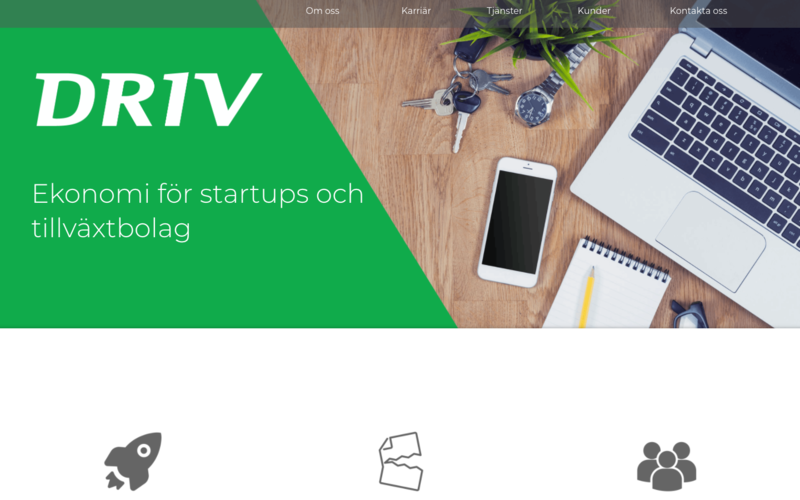 Driv aims to be the outsourced CFO of the startups and have grown with many successful companies from the first day of registering the company to employing +50 employees and securing millions in funding. Driv can advise on legal matters, incentive programmes, cash flow planing, financing, and provide network to angels and venture capital firms when funding is desired. Springworks – A fast growing IoT company connecting cars. TeliaSonera is an investor as well as PunktB. Resolution Games – A virtual reality (VR) games studio creating the worlds best content for Virtual Reality. Google Ventures, Creandum, Partech Ventures, Bonnier Growth Media and more as investors.